I am Volunteer Director of this great and easy program to keep kids fit and active. Check it out today! Get your kids active, gets your school active, get your family active! Why do I do this? Setting Healthy Lifestyle habits is extremely important to me after struggling with my weight all of my life and then losing 150 pounds in 363 days in 2009-10. I have continued on my journey and I am as healthy & fit as ever at 61 years old! 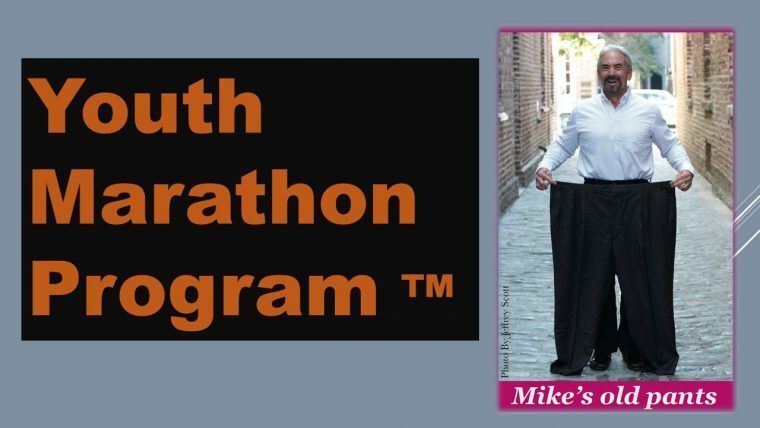 The Youth Marathon Program ™ is open to all children ages 6 -17 years old . The Youth Marathon Program ™ is a modified marathon, which means your child can run or walk 25 miles prior to race day, and then complete the final 1.2 miles on celebration day! The Youth Marathon Program ™ is free and every participant will receive an official Youth Marathon Program surprise when they complete their logged miles on celebration day .